Geoffrey Downes is a very busy musician these days. Trying to list all the projects he has been associated with as either a writer, producer or musician would be very time consuming. Aside from still playing with Asia he also fills in his free time by playing with the progressive institution known as Yes. This is now the second time that Geoff has been with Yes as he also played with them on the Drama album and tour back in 1980. 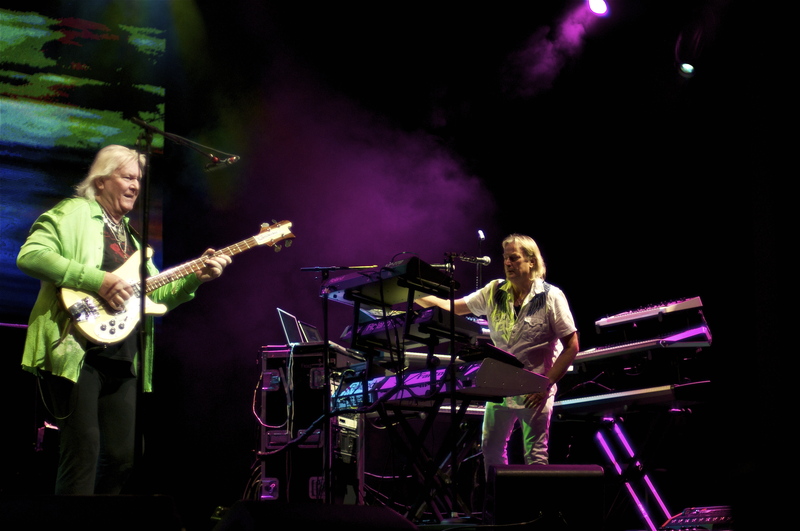 It was out of that relationship that he and guitarist Steve Howe joined forces with bassist/vocalist John Wetton and drummer Carl Palmer to form the Supergroup Asia. Yes are set to embark on a spring tour and have raised the bar to another level as they plan to play not one, not two, but three complete albums. The three selections the band chose were The Yes Album, Close To The Edge and Going For The One. We had a rare opportunity to talk with Geoff and the upcoming tour. Rock Show Critique: Tell us about the upcoming tour with Yes? Three albums in their entirety, The Yes Album, Close To The Edge and Going For The One. How did the idea come about and how did you decide on all this. Geoffrey Downes: Well I think we wanted to be something that was a bit different. I think we toyed with a few various ideas and with having Jon Davison on board we knew we could actually extend the boundaries and come up with something that was a little different. I think the idea of one album came up, then two albums then we said we got the chance why don’t we do three. So we picked out three albums, ones fairly unanimous of the three albums we chose. I think everyone’s bringing up a good point because its not something Yes has done before. And something not many bands have done before. RSC: How does it feel being in Yes this time around as opposed to the first time back in 1980? GD: Well I think its probably a more pressured situation then because back in 1980 there was not so much scrutiny. There was a certain, empty feeling towards the two Buggles joining Yes and that didn’t sit well with a lot of people. But having said that I think that the album we came up with is a very strong album. I think Drama still stands up today as a strong album. A lot of Yes fans have actually come full circle and appreciate it for what it was. It was great times for us then and I think that it was groundbreaking certainly for me. Coming back in to the situation two years ago it’s been a real eye opening because I think Yes is a great band, a very unusual band and a very visual band. So I’m very happy to be along with the guys for as long as we take it. RSC: It seems every time you join Yes they are breaking in new singers, did you ever get the chance to work in any capacity with original singer Jon Anderson? GD: No funny enough I’ve never actually worked with Jon Anderson because its always been that time when I’ve been in the band and he’s not been there. There’s no doubt that he had an enormous influence on the way the music was and how it all basically carved a niche in people’s psyche. A lot of people still quote Close To The Edge as one of the greatest albums ever and I wouldn’t disagree with that. Close To The Edge is very much a defining Yes album. Having been looking at it recently it really does stand out being probably the holy grail of all albums in Yes fans. I think if you look at Yes’ history over the years it’s an ever kind of changing ship and I’m just happy to be a part of it. RSC: You seem to be one of the few keyboardists who continue to fill up the stage with your equipment. Do you require different set ups for each band when you play with Yes as opposed to Asia? GD: I keep pretty much a cool setup. Because if you go through the general keyboard departments in both bands you will find that there are a lot of similarities. For instance use of acoustic piano and mellotrons. So I tend to try and stay as faithful to the original recordings as possible. RSC: How many keyboards do you bring on the stage with you? GD: About ten. I got two three tier rigs and I’ve got bass pedals and all sorts of typical stuff. I’ve got a couple of laptops, M1 simulators, so its quite a kind of a mishmash in many ways. I do try and stay as I said as faithful to the original recordings as much as possible. 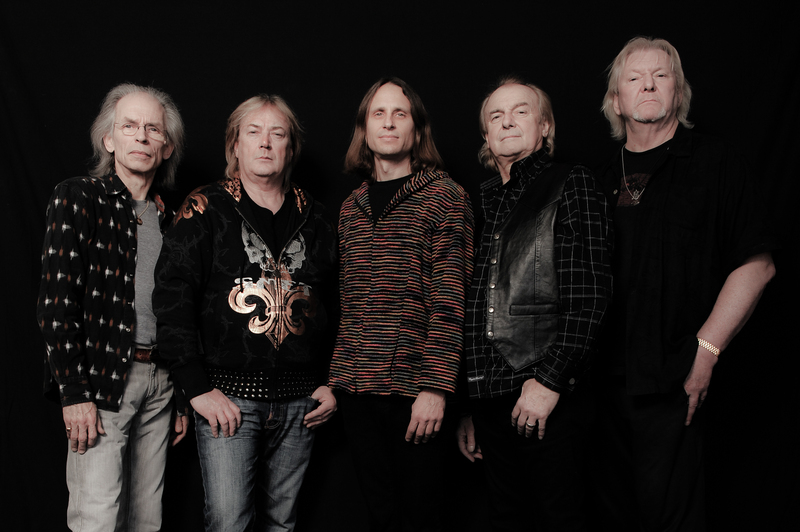 RSC: This past week Yes guitarist Steve Howe announced he was leaving Asia and focusing on Yes and his solo endeavors. Did this catch you by surprise or was this something that was in the works for a while? GD: Well Steve had mentioned in the past that he thought that it was maybe time for him to stop and concentrate on other things. There is no reason why because Steve’s not involved that Asia should fold in this current situation. It’s kind of the older you get the more receptive you are, the more, I suppose you accept these things they call change and its not the end of the world and you can move on. I think that Asia’s always got great music and I think that’s something that we don’t want to lose. No one’s going to turn their back because well Steve left so therefore the bands over, I think that there’s still mileage in what we can do. RSC: How did you come across new guitarist Sam Coulson? What can you tell us about him? GD: I think John and Carl had a conversation with Paul Gilbert from Mr. Big. His recommendation was that we that we should find a young guy. This is the guy he recommended to us perfect for Asia. We looked into it and it seemed he is absolutely the right choice. Whether or not the fans are gonna be satisfied that there has been change after the having the original band been back together. But I think that more people will come to the conclusion of is that its great that the bands keep going and its great to challenge new boundaries. RSC: Can you give me one Asia song and one Yes song that gives you the most satisfaction playing live? GD: I would say live “Only Time Will Tell” is a great song to play for Asia. It really characterizes all of Asia’s sound that is one I would pick out there. In terms of Yes such with deep cuts, your going back forty-five years, you’ve got a hell of a lot to choose from. But if I was to pick one out I think “And You And I” off Close To The Edge album is probably one of the most uplifting tracks and clever in terms of how its put together. So that would be one favorite from Yes. RSC: I was at the first Asia reunion show in Rochester, NY in 2006, what was the feeling like once you guys hit the stage? GD: I think there was a lot of camaraderie. We knew that we wanted to get it across what we were trying to do. I think it was a bit rough around the edges but having said that I think that we really did try and rip the place apart. Special thanks to Aaron Feteri from MSO for setting us up with the interview.